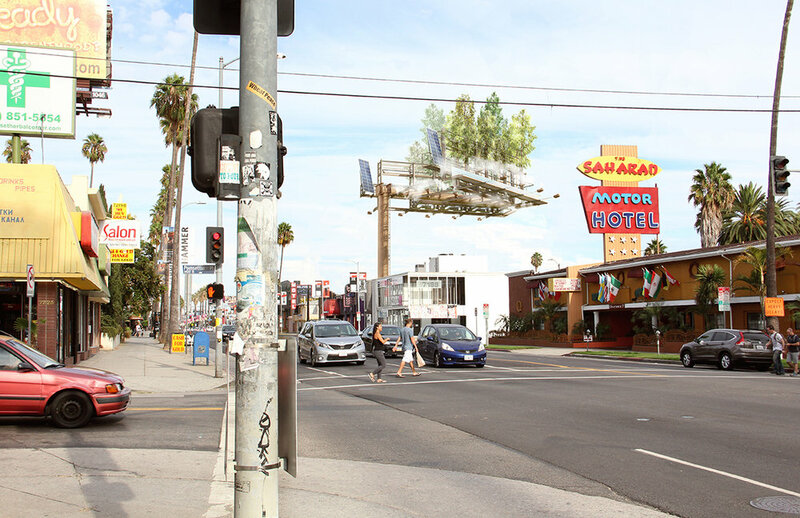 In production by Stephen Glassman Studio, URBAN AIR re-imagines and transforms billboards — a dominant symbol of urban commercial messaging — into a purposeful artwork that is also a platform for social engagement about climate awareness and the urban environment. The suspended bamboo cloud forest, embedded with intelligently networked environmental monitors, creates an open space, a crack, in the dense urban skyline. URBAN AIR is an artwork, an iconic symbol, an instrument for a green future.